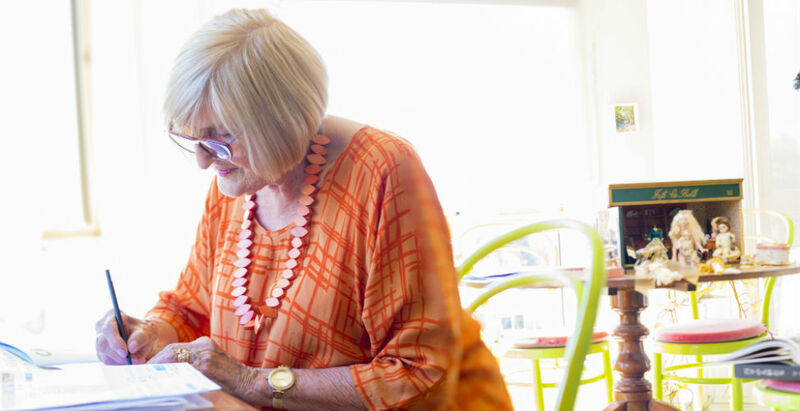 A mother and grandmother, Liz Hicklin has much in common with other residents at Morven Manor Retirement Community in Mornington, Victoria, but chat awhile and you’ll discover she has had the fortune – and misfortune – to experience more highs and lows than most of us read about. Raised in Manchester in England, Liz studied nursing before moving to Cambridge, where she met young literature student Ted Hughes and they fell in love. “We went out for two years and we were going to get married and come to Australia because he had a brother here,” Liz says. Instead Liz visited her brothers – in the United States and Canada – and her life changed course. Possibly she dodged a bullet: Ted’s infidelities are described by his wife Sylvia Plath in her autobiography The Bell Jar and arguably provoked the murder-suicide of his lover Assia Wevill and their daughter. However, Liz still describes him as “a lovely bloke”, adding: “He was so charismatic; the sort of guy who you’d leave a marriage for. Soon afterwards Liz met her husband Bill. “He had an MG car, desert boots and a duffel jacket, and I thought he was pretty hot.” They had three children. An interest in porcelain doll making later became a career. Liz sculpted the moulds used to pour the porcelain and handpainted the dolls’ features, running classes from her studio in Brighton, Victoria. Ted Hughes’ legacy did linger though; not only did he leave Liz with a bundle of love letters she recently sold to the British Library, he also introduced her to literature, revealing her gift for poetry. Somehow, Liz found time to publish two volumes of poetry, Dedicated to Dolls, which led to invitations to read at recitals around Australia. But all was not well with their family life. Anxious phone calls from her daughter Leeza’s high school signalled that Leeza had developed behavioural problems, which quickly escalated. It was the start of a long battle with mental illness. Then, in her late teens, Liz’s second daughter Jane developed signs of bipolar. Liz describes both girls as “clever and beautiful”. Jane, a gifted artist, took her own life about 15 years ago. Leeza followed a few years later, leaving a son and a daughter. Yet even from this dark place Liz created some light. When Jane’s art was displayed at her funeral, Liz noticed each work featured a tiny figure floating under a parachute in the blue sky. Inspired, Liz and her son Boyd created a children’s book, Peter the Parachute. The proceeds were donated to mental health research. Liz moved to Australian Unity’s Morven Manor Retirement Community after Bill died three years ago. 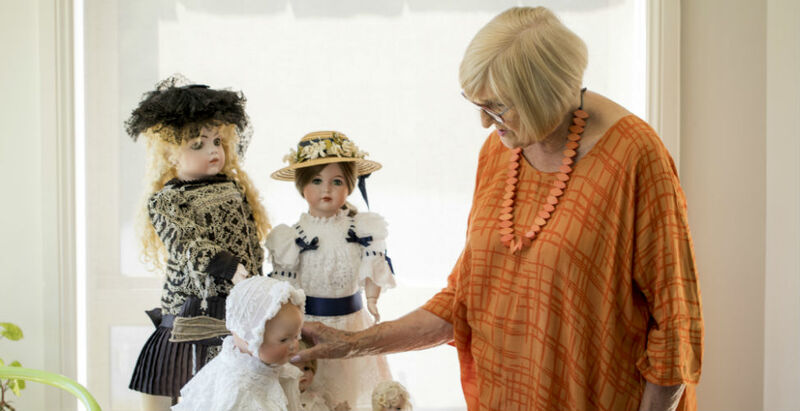 She sold her doll collection, retaining a few favourites and a sculpture she created of her three children. Three of her windows offer views of Port Phillip Bay and Jane’s bright artworks adorn the walls. Liz’s latest book Can’t Drive a Car?, released last year, was inspired by a meeting with a tattoo-covered man driving a disability scooter. It celebrates the funny side of ageing. Illustrated by award-winning artist Fred Gatte, it also reflects Liz’s need to stay busy. “My greatest fear is having nothing to do,” she says.